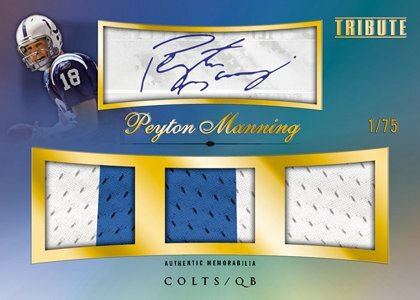 Topps Tribute is a high-end football card offering that packs 7 hits into each 6-pack hobby box. 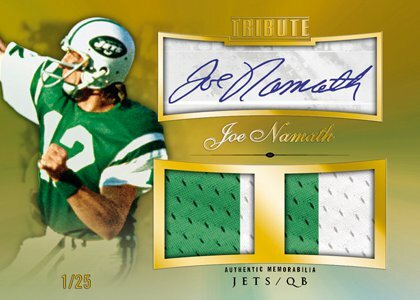 Tribute offers collectors a chance to collect relics, book cards, autographs, and cut signatures from a wide array of players ranging from early Super Bowl era heroes like Joe Namath to 2010 NFL rookies like Sam Bradford and Dez Bryant. 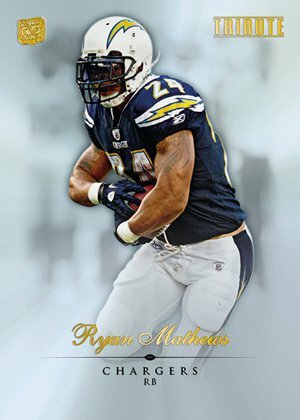 2010 Topps Tribute is set to hit hobby store shelves January 31st, 2011. 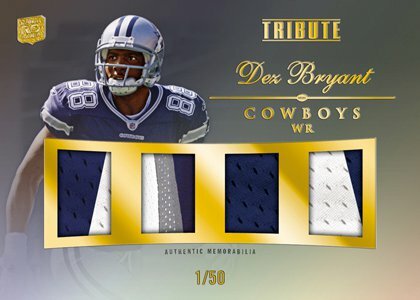 Big hits but WAY too many rookies for the price! 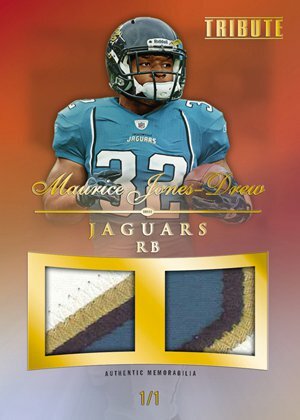 Also, if it’s going to be priced greater than Bowman Sterling, it should continue the same trend and at least have 1 auto per pack.